It was only a matter of time before Cameron Hayley won his first NASCAR K&N Pro Series West race. 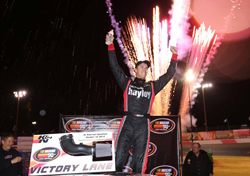 Hayley was the runner-up five times in the NASCAR K&N Pro Series West before breaking through with his first win at All American Speedway in Roseville, California. 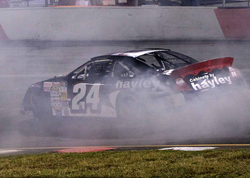 He won the inaugural UNOH Battle of the Beach race at Daytona International Speedway in February. 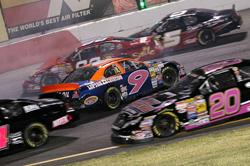 The race was a non-points event for drivers and teams from NASCAR K&N Pro Series East and West. 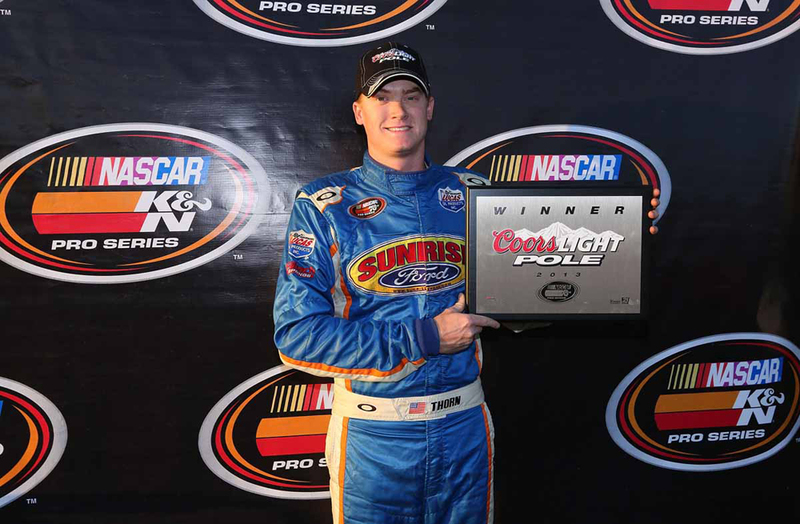 The 17-year-old driver from Calgary in Alberta Canada won the first race of his NASCAR K&N Pro Series West career in his 32nd start. "It was amazing," Hayley said of his win. "Our Cabinets by Hayley Ford Fusion was just perfect all night. We really wanted to save tires at the beginning, so that we had stuff at the end and it's just what we did. We stuck to our game plan and made sure we had stuff left at the end and it paid off." Hayley led only five laps in the race, the last five laps of the Toyota/NAPA Auto Parts 150. Pole winner Derek Thorn led a race-high 138 laps. He swapped leading the race with Eric Holmes for 145 laps. Holmes was out front for seven laps are various points of the race. Hayley made his move on Thorn on lap 145. He passed Thorn and was out front for the final five laps of the race. Thorn finished second with Holmes in third place. Hayley also moved up in the NASCAR K&N Pro Series West standings. He is in second place, 18 points behind Thorn, the leader in the NASCAR K&N Pro Series West standings. There are two races remaining on the K NASCAR K&N Pro Series West schedule. 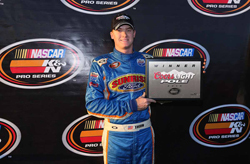 Michael Self finished in fourth place in the NASCAR K&N Pro Series West race at Roseville. Greg Pursley was fifth. The next NASCAR K&N Pro Series West race is the NAPA Auto Parts 150 at Kern County Raceway Park in Bakersfield, California.